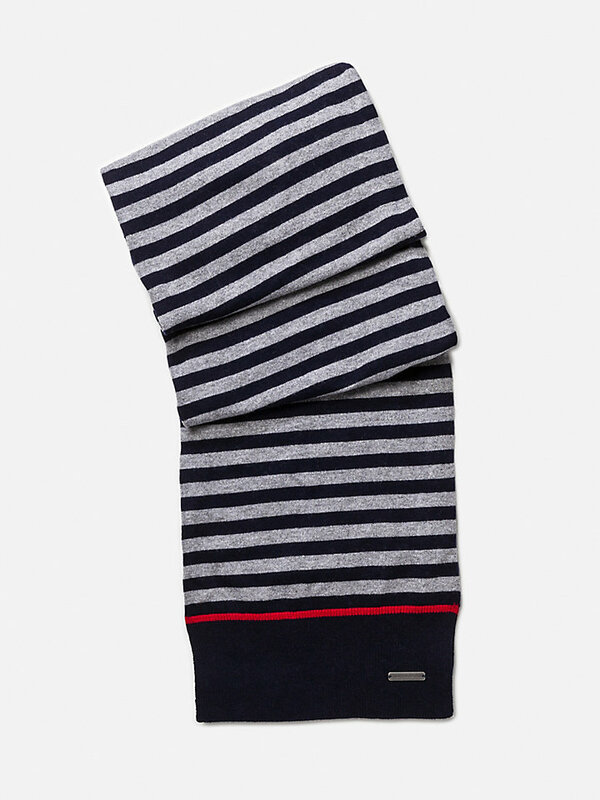 Luxurious wool cashmere blend striped North Sails scarf for the colder adventures. Striped scarf with ribbed border in solid color. A soft and strong professionally designed scarf, made with a luxurious wool cashmere blend for a long wear life and protection against the elements. 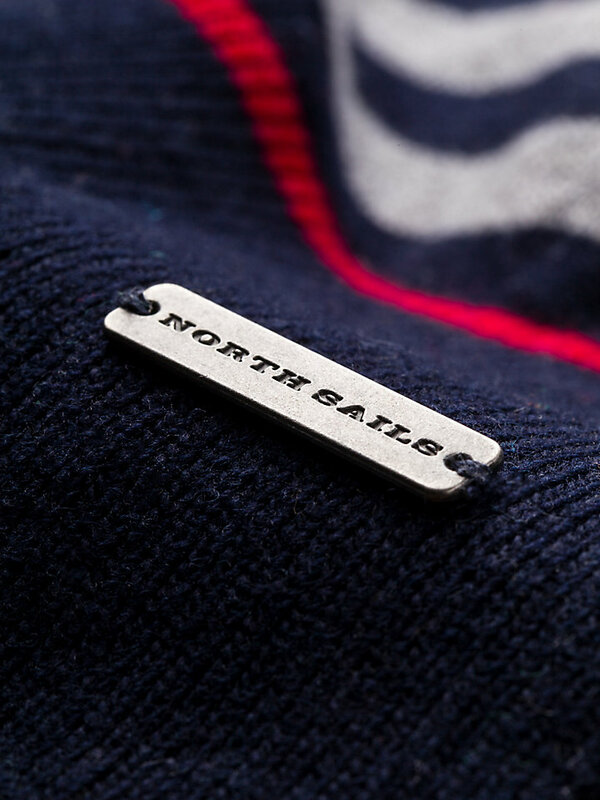 Adorned with the original North Sails logo, this is a classic piece of outerwear you will need on all your colder adventures.